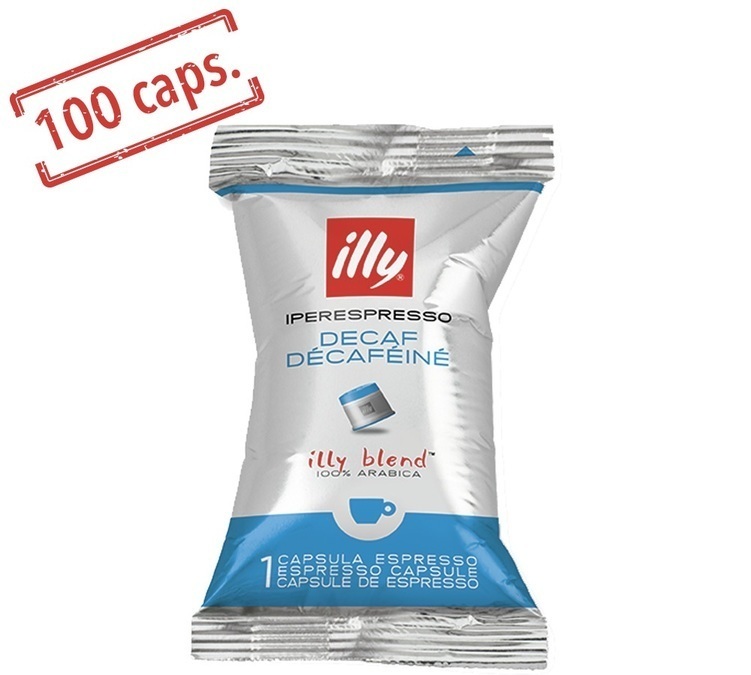 These Illy Iperespresso decaffeinated coffee capsules are compatible with domestic Iperespresso machines (X7.1 - Y1.1 Touch - Y5 - Y3 - X8 - Gaggia Iperespresso). Balanced decaffeinated coffee. 100% Arabica. 100 individually-wrapped capsules.